We will be hosting our 26th annual Children's Day program this year on June 3, 2018. This is a special time for children of all ages and will include not only a special children's service, but also a hot dog BBQ out on our deck. Kids Club, for boys and girls in grades 1 to 4, meets every other Friday (with some exceptions). Check our Church Calendar or the Coming Events listing on our main home page to see when the next Kids Club will be taking place. Program starts at 6:00 pm. There is an optional dinner (by reservation) at 5:30 pm. The program ends by 7:30 pm. Junior Youth meets on the same nights (roughly every two weeks) as Kids Club; but from 7:30 to 9:30 pm. 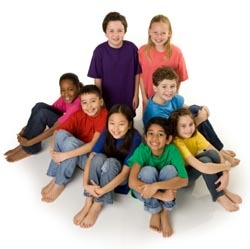 Junior Youth is for kids in grades 5 to 7 (although exceptions can be made on an individual basis). For the Junior Youth schedule, please check our Church Calendar or the Coming Events listing on our main home page. We look forward to our next VBS in August 6-10, 2018. Our children's Sunday School runs during our worship service (except in the summer). We have two Sunday School classes available. Our worship services start at 10:45 and our Sunday School starts at approximately 11:30. During the service, before the pastor's message, the children are excused for Sunday School, where they enjoy various activities and lessons each week. Our Sunday School is geared for children up to grade 4.